After an enlightening morning in the scientific sessions at APAO 2018, many delegates will want to find a satisfying lunch before the afternoon symposiums begin. The following restaurants are conveniently located within Hong Kong Convention and Exhibition Centre. Additionally, there are numerous eateries located outside the convention center within walking distance, many of which are accessible by pedestrian walkways. These include Starbucks, Pacific Coffee and Genki Sushi (Great Eagle Centre); Pret A Manger and Super Super Congee & Noodles (Harbour Centre); FRITES Belgium on Tap, Divino Patio and the Trafalgar Brewing Company (Causeway Centre); and many more! For more information or assistance with directions, visit the APAO 2018 Registration and Information Desk during the Congress. For the first time in Hong Kong, the APAO Congress will present awards to the most popular poster, e-poster and video abstracts in the submitted program, as chosen by Congress delegates. Don’t forget to vote! Here’s how. Use the star stickers inside the delegate bag to select your 5 favorite poster abstracts. Visit the e-poster and video platform in the Exhibition Hall, or go to http://e-poster.apaophth.org and http://video.apaophth.org. Then choose your 5 favorites in each category. Remember, voting closes on Saturday, February 10, 2018, at 12:00. Award winners will be announced during the Gala Dinner later that evening. 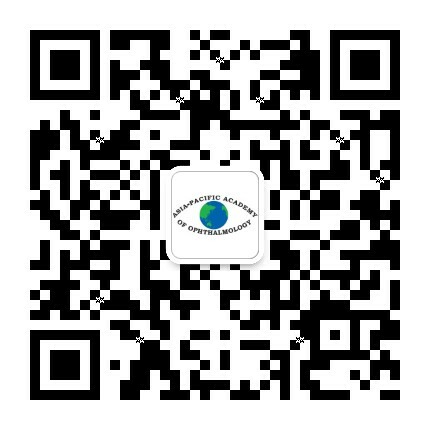 Attention retinal specialists! Details of the inaugural wet lab sessions at the 33rd Asia-Pacific Academy of Ophthalmology (APAO) Congress in Hong Kong are now available. You won’t want to miss these microsurgical and hands-on retina workshops led by distinguished faculty members from around the world. These workshops are designed to provide participants with hands-on experience using the Ngenuity viewing system, which provides a platform for digitally assisted vitreoretinal surgery (DAVS). The international faculty will conduct small-group teaching and discussion on surgical pearls of using Ngenuity and its advantages including operating under lower light levels, application of “digital filters” to ocular structures to enhance identification, improving surgeon posture and reducing fatigue. Participants will be able to view surgical videos, perform tasks on ocular tissue handling and gain an immersive 3D surgical experience. Act now! Advance registration for these retina wet labs, as well as those in other subspecialties, is now available through the APAO Congress system. Reserve your place in these innovative training sessions today! You won’t want to miss this hands-on retina workshop led by distinguished faculty members from around the world.What’s more, the wet lab sessions at APAO 2018 are free for all registered delegates, with only a refundable deposit required upon registration. This workshop is designed to provide participants with hands-on experience in intravitreal injection techniques. The international faculty will conduct small-group teaching and discussion on current intravitreal injection guidelines, aseptic technique of injection, use of pre-filled syringes and preventing complications. Different treatment regimens (treat & extend or as necessary) for injecting anti-vascular endothelial growth factors will be addressed. Techniques for injecting dexamethasone implants will also be described. Complications arising from intravitreal injections will be covered, particularly endophthalmitis, pseudo-endophthalmitis and silicone oil droplets. Act now! Advance registration for this retina wet lab, as well as those in other subspecialties, is now available through the APAO Congress system. Reserve your place in these innovative training sessions today! You won’t want to miss these hands-on retina workshops on photodynamic therapy (PDT). Each session in this course will cover a variety of topics related to PDT including interpretation of fluorescein angiography, indocyanine green angiography and optical coherence tomography; the latest clinical updates on the management of polypoidal choroidal vasculopathy; and up-to-date protocols for the use of PDT. Act now! Advance registration for these retina wet lab sessions, as well as those in other subspecialties, is now available through the APAO Congress system. Reserve your place in these innovative training sessions today! Attention delegates! Details of the inaugural wet lab sessions at the 33rdAsia-Pacific Academy of Ophthalmology (APAO) Congress in Hong Kong are now available. Act now! Advance registration for retina wet labs, as well as those in other subspecialties, is now available through the APAO Congress system. Reserve your place in these innovative training sessions today! The APAO 2018 Congress will be held just 1 week before the start of the Lunar New Year, and festival preparations will be well underway all around Hong Kong for Congress delegates to see and experience. In the time leading up to the Lunar New Year, apartment buildings and businesses in the city will put up festive decorations including red lanterns and intricate paper cuttings. Many doorways will also be adorned with New Year couplets written on red paper, as well as colorful kumquat trees. Temporary flower markets showcasing beautiful orchids, plum blossoms and more will be set up in locations such as Victoria Park in Causeway Bay. Traditional decorations and snacks, including melon seeds and candies, will also be for sale and make for unique souvenirs. Travel Tip: The traditional Cantonese greeting during the New Year is “gung hei fat choi.” Say this to a local and you just might get a red packet with lucky money inside in return! For more information about Lunar New Year celebrations in Hong Kong, please visit the Hong Kong Tourism Board’s website. After reviewing submissions from a number of qualified applicants, the APAO Secretariat is pleased to announce the recipients of the APAO Prof. Yasuo Tano Travel Grants for 2018. Each travel grant recipient will receive US$1000 if they live outside the host country of the 33rd APAO Congress (i.e. Hong Kong) whereas those who live in the host country will receive US$300.